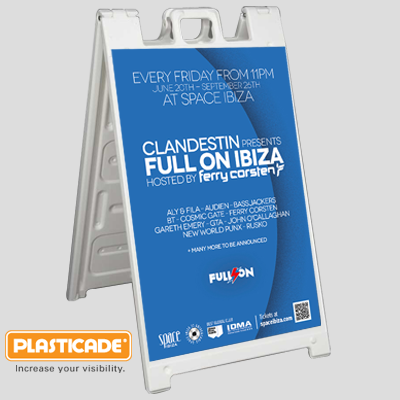 A-Frame Signs Include a Self Standing Signicade® Deluxe Heavy Duty Plastic Two Sided Frame and Two 3mm PVC Boards Printed in Full Color. 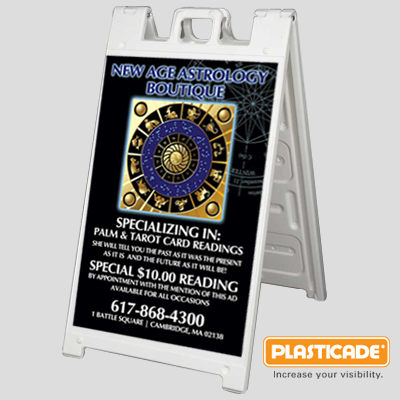 Includes 1 heavy duty Signicade® Deluxe a-frame sign and 2 pvc boards. 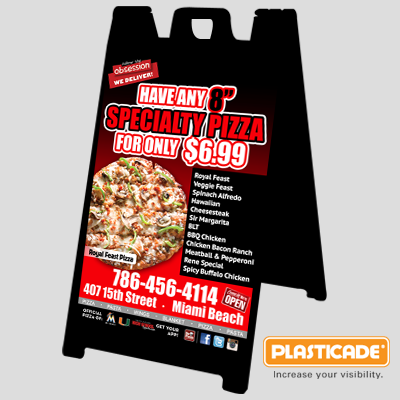 A-frame signs are a great way to advertise products and services. 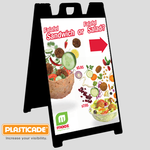 These sidewalk signs are perfect for restaurants, cafes, and store front businesses like ice cream shops, shoe stores, hair dressers, pizza joints and for your business. These portable A-frame signs are also perfect for realtors to use as real estate signs, to pack the sign up and move it from property to property couldn't be easier. 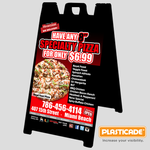 Elite Flyers offers the highest quality Signicade® Deluxe A-Frame stand made of all weather heavy duty plastic to with stand adverse weather conditions. 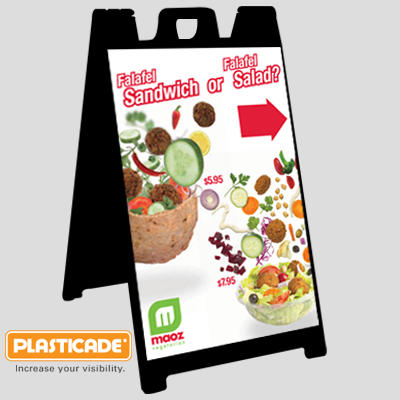 Want to change the message on your A-Frame? No problem! 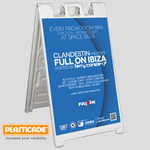 With the interchangeable 24x36 pvc board inserts, changing your message takes seconds. Already have an A-frame? 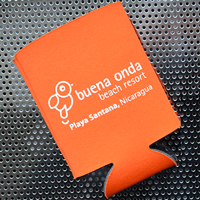 Do you only need the inserts printed? 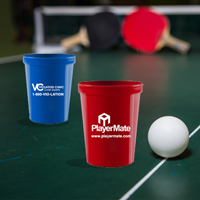 You may purchase the inserts separately on our PVC Board page. Have any questions or would like a custom A-frame quote? We are happy to help you. Please feel free to contact us any time! Choose a color a-frame sign.